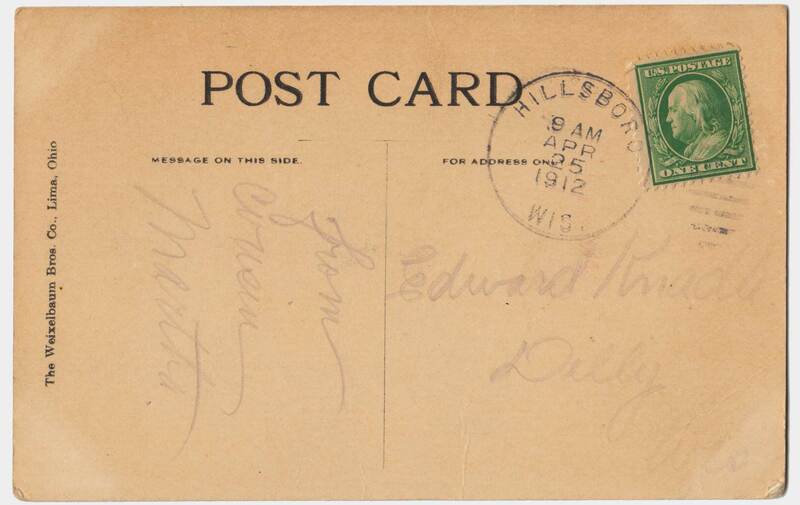 This postcard appears to be printed as a shell and then later imprinted with the name of a town. 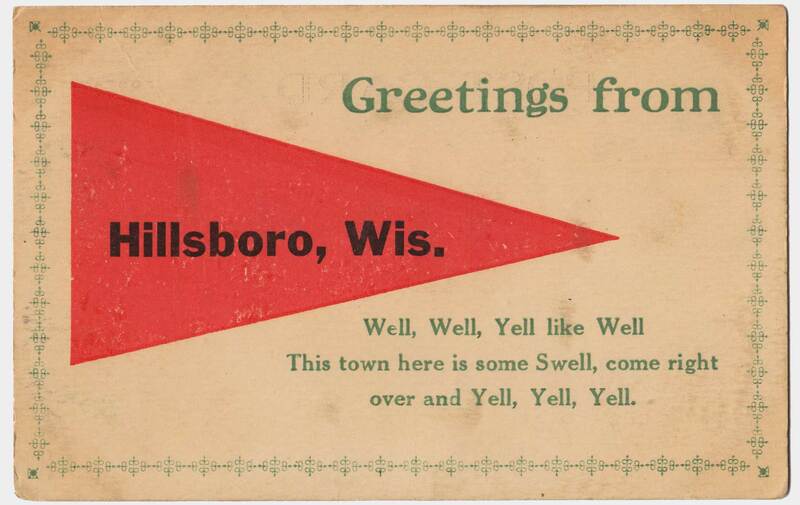 I wonder if Hillsboro still has postcards available in its stores. Ed Knadle kept the postage affixed to this postcard. A single cent stamp of Benjamin Franklin, a forefather of early printing in the U.S.
HILLSBORO 8AM APRIL 25, 1912 WIS.